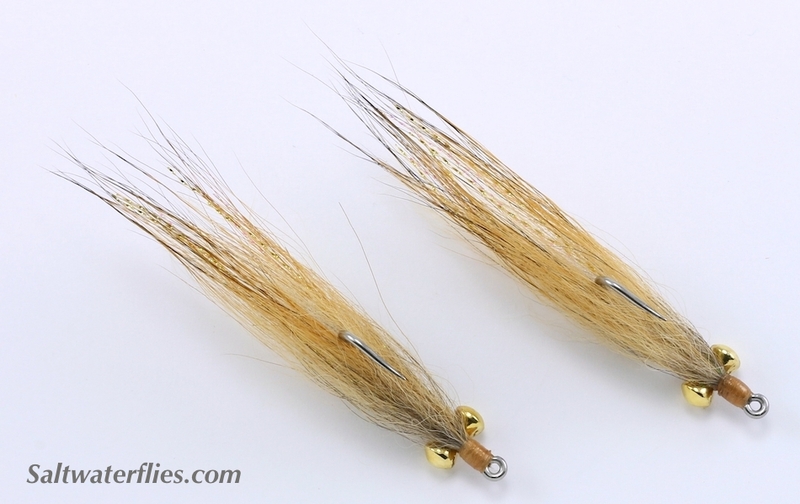 The Foxy Bonefish Minnow or Foxy "Clouser" is our variation on this simple classic. Natural fox hair used in the tying of this fly features attractive natural color highlights, and makes for a pattern that "breathes" very well in the water. This is a great fly for deeper flats & mudding bones, as well as for sight-casting to fish from the boat. The Foxy Bonefish Minnow flies are approximately 2 1/4 inches (6 cm) in length. Similar patterns: Bony Sand Shrimp, Flats Deep Minnow. 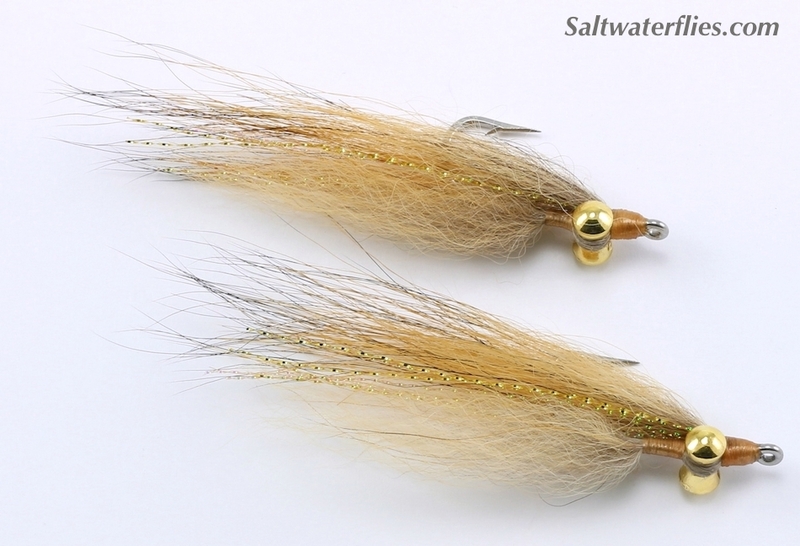 SaltwaterFlies.com - Catch More On Line!